At Norm Reeves Honda Superstore Cerritos, we offer professional automotive repair services you can trust. Our certified Honda technicians use quality OEM parts and industry-leading equipment to make every repair as quick and seamless as possible. Our Service Department and our Parts Department are open seven days a week with convenient hours in the morning and in the evening. That way we can work around your schedule and provide service when it’s convenient for you. We even offer overnight service, so you can get behind the wheel again the next day. Making an appointment is easy. Just use the complimentary E-service tool on our website to request an appointment online or sign in anytime to check your account. Don’t put off emergency car repairs or routine maintenance any longer. 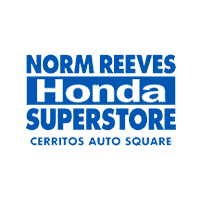 Schedule a service appointment today at Norm Reeves Honda Superstore Cerritos.